Cordi, owner of The Strings Connection, divides her time between running the shop and teaching violin and viola lessons. Cordi has a Bachelor’s in Music from the Hartt College of Music where she studied under the Russian master Raphael Bronstein and a Master’s Degree in violin performance from The Juilliard School where she studied with Dorothy Delay. She continued studies in string technique with George Neikrug, a proponent of D.C. Dounis’s ideas regarding playing with a relaxed technique. As a member of the Madison String Quartet, she was an Artist-in-Residence at Colgate University and Hamilton College, where she conducted the String Orchestra and taught music theory and violin. The quartet recorded for The Musical Heritage Society as well as other labels. Cordi enjoys teaching students of all ages and as a member of MTAC, is able to offer students the opportunity to participate in the Certificate of Merit program if they wish. Two recitals a year provide more performance experience for the students. Dana has a Bachelor’s degree in music from UCLA and a Masters degree from the Eastman School of Music. He enjoys teaching piano, guitar, bass and composition and song writing. His produced music is currently heard in five continents and on many programs including Oprah, A&E Biography, VH1, Jimmy Kimmel Live, and Curb Your Enthusiasm. His film scores have been heard at the Tribeca Film Festival, Santa Barbara International Film Festival, Newport Beach Film Festival, and San Diego Asian Film Festival, to name a few. Dana’s own choral work, Kyrie, was debuted at Southern California's Marsee Auditorium. Dana has also served as musical director and arranger for Godspell at the Actors CoOp, performing on keyboard and guitar. He reimagined the score and created additional music for it as well. The production garnered 22 nominations and awards, including Critic’s Choice – LA Times, Pick Of The Week – LA Weekly and Critic’s Pick – Daily Variety. Dana is a working bassist who has served on the music faculty of Los Angeles Harbor College and El Camino College, where he taught a community outreach program offering lectures in classical, jazz and world music. An experienced choir director, Dana also directed the cast in a live broadcast on 99.5 FM in Los Angeles. Dana is currently writing new piano music for his upcoming CD, Programs (Piano Rolls), which is turning out to be as highly melodic as it is ambitious, drawing from theatrical and symphonic influences. 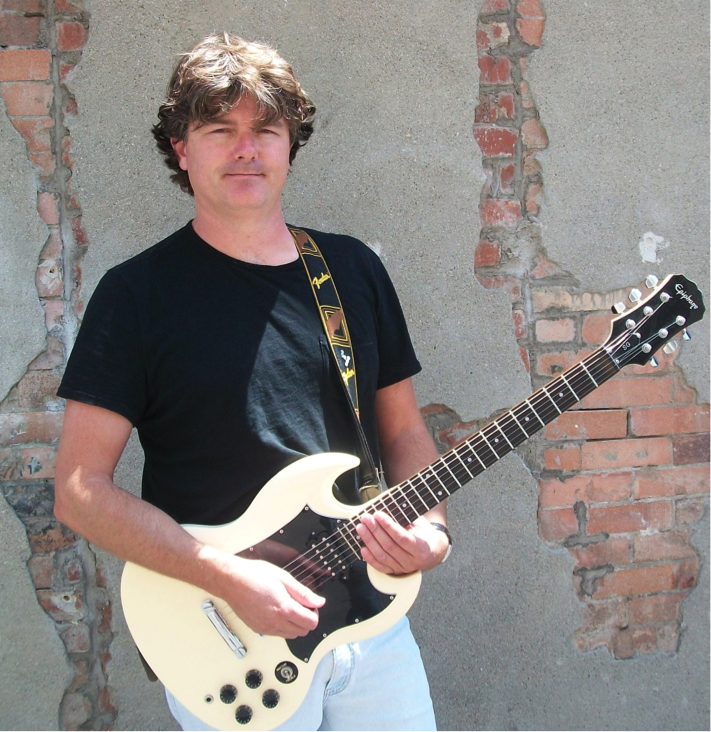 Garrett Griffin has been teaching guitar and bass for over 20 years, and playing for over thirty years. Garrett began performing and recording as a teenager at clubs in Hollywood and frequently performed at such venues as The Cathay, De Grande and Gazzari’s. His first recording was as a session player for the SST band “Slovenly” (Black Flag label) – on their EP “Thinking of Empire.” He recorded with scratch loops used by rappers Rodney O’ and Joe Cooley. In the 1980’s and 1990’s Garrett and Black Flag’s Dez Cadena had the band “Brawl. He has also performed with Mike Watt. Garrett performs in the greater Los Angeles area as a freelance artist. Garrett is a devoted teacher and believes in making learning an instrument an enjoyable experience. He teaches students of all ages and levels of playing. Randolph Scherp has studied piano with Charles Asche of Santa Barbara, CA, and Hans-Dieter Meyer-Moortgat of Wolfenbüttel, Saxony. He has performed extensively in his native Santa Barbara, and also on occasion collaborated with singers and chamber ensembles, such as Laurice Kennel Simmons, soprano, and the Quarteto Cromano. His teaching draws extensively on classical pedagogy of masters such as Mozart, Türk, Dussek, and Hummel, and also takes into consideration the particular needs and ambitions of his students. He published a thesis on bimodality in Haydn symphonies, editions of chamber works by the exceptional Beethoven contemporary Anton Eberl (Carus-Verlag), and a book of original songs and piano pieces.